SEO (Search Engine Optimization) is the base of every blog, without it one can't call his blog a commercial/professional one. The ranking of your blog in Google largely depends on SEO and we all know better the ranking in Google, more the traffic we get. So one should make every possible effort to make his blog more SEO Friendly. But how do I do it ? 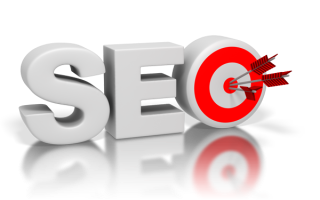 SEO is a vast topic. There are thousands of ways for improving your blog's SEO. Such as adding Meta Tags, Keeping the right number of characters in the post title, adding alt tags to all images and many other things. This will reduce your bounce rate, increase the no. of pageviews on your blog and your blog traffic will not be transferred just because of one single link. By default all links are dofollow that means Google can crawl them and hence much of the PageRank juice of the page goes away. So in order to prevent them one should add nofollow tag to all external links. Alt tag in an image describes it and through it search engines like Google Images show you blogs image on related query. This helps to get more visitors to your blog and improve SEO greatly.